ProLogistica Soft - Better inventory management - ProLogistica Soft Sp. z o.o. We are pleased to inform that ProLogistica Soft took part in the latest edition of the leading forecast competition in the world - M4-Competition. The competition took place for the fourth time since 1982. The idea of ​​the competition is to evaluate and compare the accuracy of various forecasting methods. 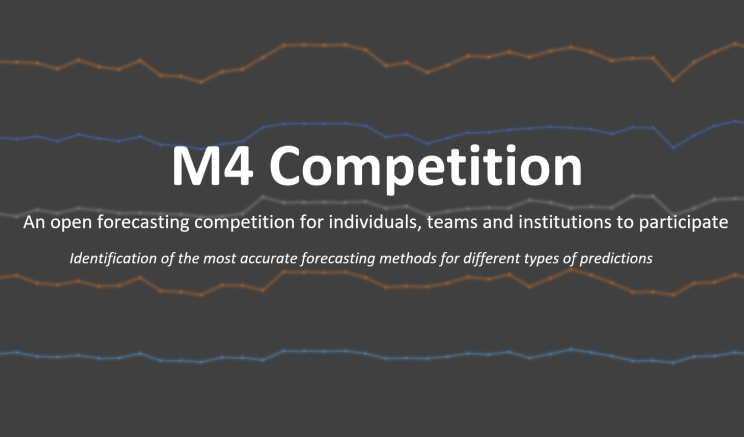 The results of competitions have a huge impact on the field of forecasting and set global trends in prognostic methods for the next few years. In this edition of the competition, we have met 248 participants from 48 countries around the world. Our competitors were famous universities, as well as from multinational organisations and companies. ProLogistica Soft took 3rd place in the general classification and in the area of ​​forecasts with dense observations (weekly, daily and hourly) we are a definite leader. Such a great result is a confirmation of our competence and the effectiveness of the proposed solutions. The high quality of our forecasts is, above all, the effect of our clients' joint work with the ProLogistica team and their daily real-life business problems. This is our common great success, for which we thank you. Accurate automatic demand forecasts calculated using state of the art statistical and machine learning techniques. Easy to use solution with no expert knowledge required. Choice of inventory management strategy to increase sales and reduce excess stock. 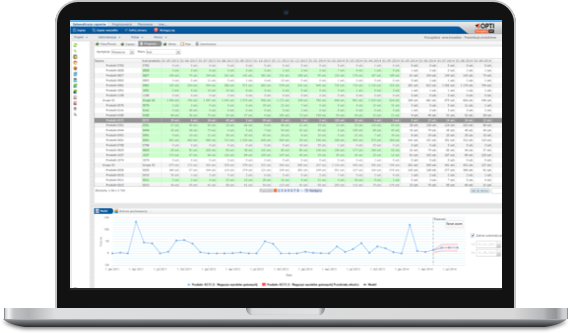 Track inventory performance and experiment with what-if analysis. Inventory optimization across multiple distribution centers and warehouses. ProLogistica Soft is an electronic expert - plan effectively, increase profits and create success! You will increase your revenues by maintaining high service levels and minimizing the risk of unfulfilled demand. You will reduce your costs by basing decisions on accurate demand forecasts and optimizing inventory to decrease ordering and storage costs. your frozen capital by reducing excess inventory and lowering stock levels by up to 30%. You will work more effectively and save up to 80% of time needed for inventory replenishment thanks to ordering process automization. Functionalities that no ERP systems have. Our mission is to support companies in improving their inventory management process. We offer inventory optimization software but our help goes much further than providing software. We cooperate closely with our clients helping them design their inventory management process and measure its efectiveness. We are proud to say that our experience have made us a leading expert in the inventory management area. We calculate demand forecasts and choose inventory management strategies to lower inventory costs and increase sales. We achive good results by using state of the art statistical and machine learning methods. But our solution is not only about optimizing inventory. What's equally important we automize and organize the inventory replanishment process. Want to find out more? Visit our offer page.